My goal for 2018 was to write and publish four books. I published seven. No, I’m not an overachiever–instead of writing one long novel for my autumn release, I wrote three shorter novellas instead. Six books were brand new; one was a re-release of a novella previously published in Pets in Space 2: Embrace the Romance. 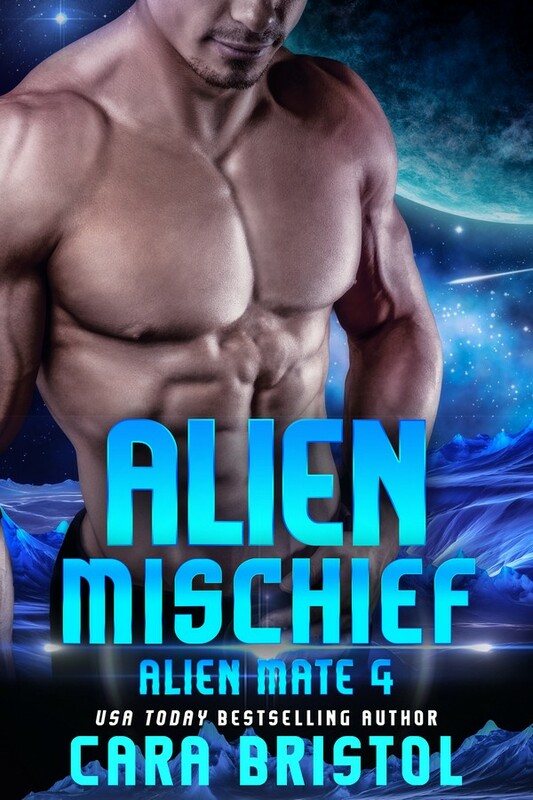 I completed the Cy-Ops Cyborg Romance series, added books two and three to the Alien Mate series, and started a brand new series, Dakonian Alien Mail Order Brides (Intergalactic Dating Agency), an Alien Mate spin-off. (In Alien Mate series, human women go to planet Dakon to become the mail order brides of aliens. In the Dakonian series, those aliens come to Earth. Here’s a look back, with a little insight into each book. Head cyborg Carter, a character in all the Cy-Ops Cyborg Romances, took the spotlight and finally got his own book! Until late in the series, I didn’t know who the villain or heroine were for Carter’s story. (Lamani was the villain, but who was he? Why couldn’t Cy-Ops catch him? That’s what I didn’t know). As for the heroine, I briefly considered Mikala (Pia’s widowed mother), but then decided on Beth, a clone. I’m proud of this book. It’s one of my best crafted stories, and has a hell of a jaw-dropping twist. (But one that makes perfect sense. I don’t pull a rabbit out of a hat). Rescued by the Cyborg (Cy-Ops Sci-fi Romance 5.5) is a re-release of a novella that was published in the USA Today Bestseller Pets in Space 2: Embrace the Romance. As a single title, it was published after Hunted (book 6), but story-wise, it fits between Claimed by the Cyborg (book 5) and Hunted. It was while writing Rescued that I had an epiphany and realized who Lamani was! So, there’s a clue in this book as to who the arch villain is. I love reality TV shows. They’re my not-so-guilty pleasure. 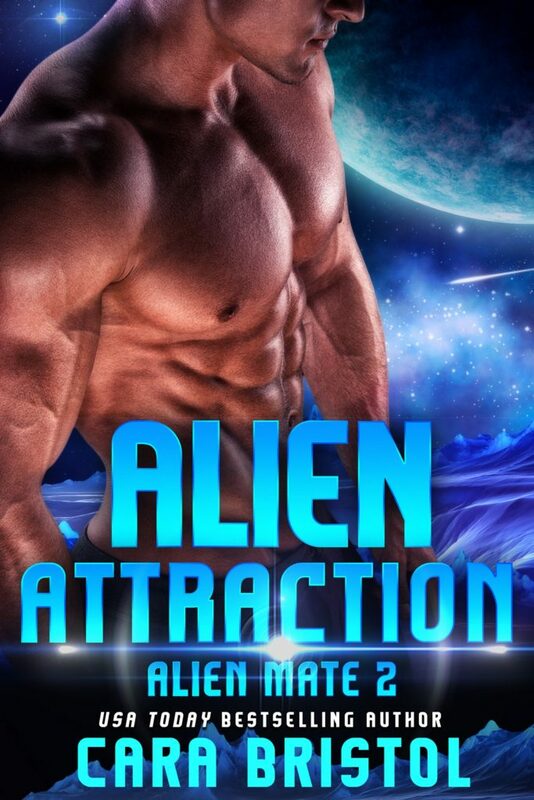 I knew that one day I would have to write a book involving a reality TV show, and Alien Attraction is it! A reality TV show star, the heroine is sent to become an alien’s mail order bride as a stunt for the show. This is like The Bachelor meets Survivor. It’s a light, funny read. 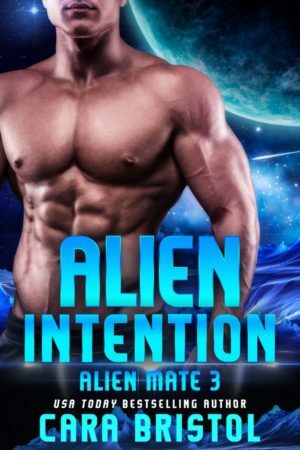 The hero of Alien Intention was the “bad guy” of Alien Attraction, the previous book. I love redeeming villains. They’re not bad, they’re just misunderstood. Lol. I redeemed Romando so well, that after reading this book some readers then disliked the heroine of the previous book even though Romando had kidnapped her! Darak is the first book of Dakonian Alien Mail Order Brides, an Alien Mate spinoff series. In Alien Mate, human women go to planet Dakon. In the Dakonian series, the aliens come to Earth through the Intergalactic Dating Agency. I usually get a story idea, which turns into a book, which turns into a series. In this case, I agreed to write three books for the Intergalactic Dating Agency project without having a single idea. Panic can be quite motivating. Lol. I love this story. It’s light, funny, and the characters are so likable and engaging. The story came together perfectly. After Lexi gets a Dakonian hottie in Darak, her sister Toni wants one, too! She signs up with the Intergalactic Dating Agency. She gets her alien, but not without some “trials.” Each book in the series has a theme. With Darak it was dessert. With Aton, it was the legal profession. (Toni is an attorney). Maridelle from the first Alien Mate book makes an appearance in this book too. 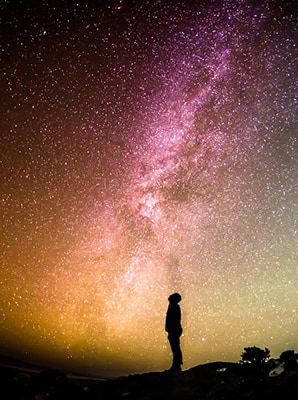 The Intergalactic Dating Agency is a multi-author project in which each author writes a series set on Earth in which a human woman meets her alien hero. 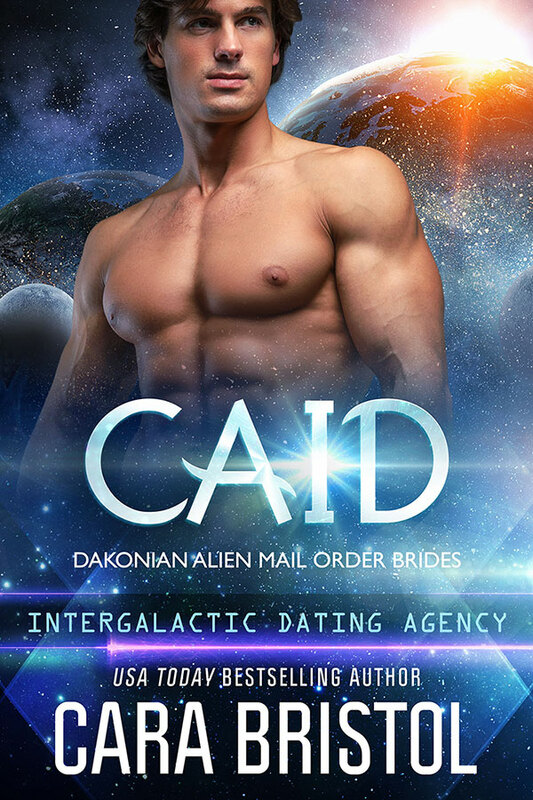 Caid appeared in book 2, Aton as the “smooth-talking” alien ladies’ man with a ready pick-up line who takes a liking to Jessie, a matchmaker with the Intergalactic Dating Agency. Of course I had to write their story! 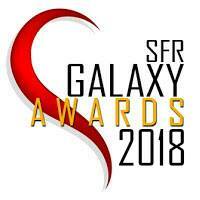 This entry was posted in Preorders and new releases, Science fiction romance and tagged 2018 in reivew, Alien Attraction, Alien Intention, Alien Mate, alien romance, Aton, Caid, Cara Bristol, cyborg romance, Dakonian Alien Mail Order Brides, Darak, Hunted by the Cyborg, Intergalactic Dating Agency, Rescued by the Cyborg, science fiction romance. Bookmark the permalink. My word, you’ve been a busy lass this year! Every year! I’m trying to cut back though.